What’s the Difference Between Automated and Intelligent Mechanical Systems? As a commercial building owner or facility manager, you’ve likely heard the terms “building automation,” “intelligent buildings,” and “smart buildings” so much, they hardly register. Oftentimes, people both inside and outside the facility management industry will even use these terms interchangeably, or will refer to one when they clearly mean another. While confusion and its accompanying frustration are understandable, there’s no denying that the technology helping us run our commercial buildings efficiently and cost-effectively is becoming more complex and interdependent every day. So, whether or not it interests you personally, you owe it to yourself, your staff, and your tenants to learn what these important trends are, how they are different, and what impact each can and will have on your commercial facility. Building Automation Systems (BAS) were originally introduced decades ago in the form of pneumatic controls (such as controllers, sensors, actuators, and valves) that could be set via timers to turn on and off or otherwise adjust various mechanical systems. Primarily, their use was limited to controlling the HVAC and related systems. In the 1980s, analog electronic controls became popular in new construction because they offered faster response times and higher precision control than pneumatics. Then, in the late 1990’s and beyond, digital controls were developed that allowed BAS as we know it today: computer-controlled monitoring and manipulation of a building’s mechanical systems via robust analytics software and Big Data. From the ’60s through to today, the purpose of BAS has always been to reduce some of the manual work required to maintain a safe, comfortable environment for tenants in a commercial facility. As building automation evolved, it also began to take on the important roles of monitoring and optimizing energy usage, and aiding in cost control. What is an ‘intelligent’ or ‘smart’ building, compared to a BAS? Despite the incredible evolution of BAS technology over the last 50 years, it wasn’t until relatively recently (the mid 2000s on, for the most part) that the concept of “smart buildings” began to develop. As artificial intelligence (AI) and machine learning began to reach a level where practical commercial applications could be made available, BAS was one of the first concepts explored on a wide scale. As the Internet grew in power and reach, eventually spawning an explosion of connected devices called the Internet of Things (IoT), the basis of the modern intelligent commercial building became possible. Connecting these systems to the IoT so that each building’s collective data and management decisions can enhance the work of similarly connected BAS. To summarize: building automation, or automated mechanical systems, were a powerful milestone in the development of commercial facility management technology. By employing even the most rudimentary BAS, facility managers can reduce the time and effort spent on manual system management, and potentially see savings in monthly energy costs as well as an improvement in overall comfort. However, intelligent buildings take those benefits a huge leap forward by creating a self-sustaining, constantly improving BAS that doesn’t just replace the work done by human operators, but multiplies its effectiveness. 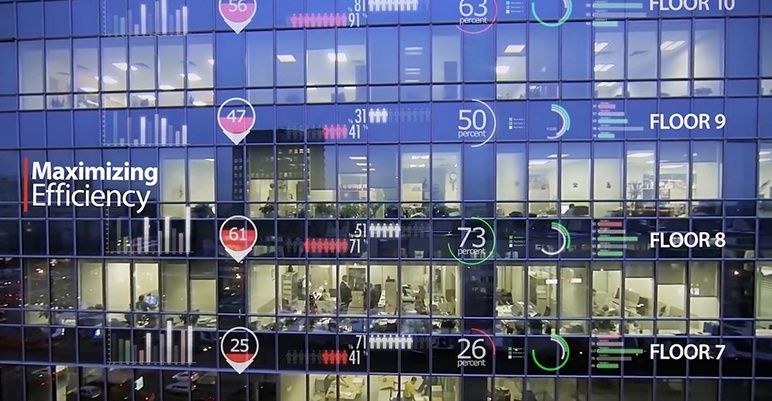 So, why isn’t every commercial facility a smart building? There’s no arguing the beneficial impact of smart building technology when applied to mechanical systems like your commercial HVAC. Based on that fact alone, you would think every building owner would be scrambling to install the latest in intelligent building hardware and software in all of their facilities as quickly as possible. But, in reality, relatively few commercial facilities are using this technology, and a shocking number are still relying on the most basic of pneumatic automation controls, feeling that’s good enough. The cost of each individual improvement continues to fall, and many BAS upgrades are easily affordable for most commercial building owners these days. However, the upgrading of infrastructure and replacement of ageing equipment and fixtures — which is necessary for facilities to gain the most benefit from their BAS upgrades — creates a daunting barrier for many. Additionally, the technology is changing so rapidly, some building owners may hesitate to move ahead with upgrades assuming their state-of-the-art BAS will be outdated by the time it’s installed. What should commercial building owners and facility managers do under these circumstances? 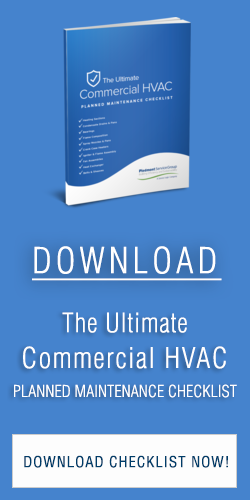 We recommend contacting your trusted commercial facility mechanical system partner, Piedmont Service Group. We’ve been offering the latest in quality building automation systems for years now, and we’re constantly keeping up with industry standards and breakthroughs. Our expert automation technicians and energy engineers will be delighted to discuss your facility’s unique needs, and your goals as an owner. Then, we’ll be able to help you decide which modern BAS options are best for you and your situation.